The 18th Hinsley Memorial Lecture, taking place on 6 November at St John’s College, is to be given by Dr Nathalie Tocci. The lecture is entitled Academia and Practice in European foreign policy: What can we learn from each other? 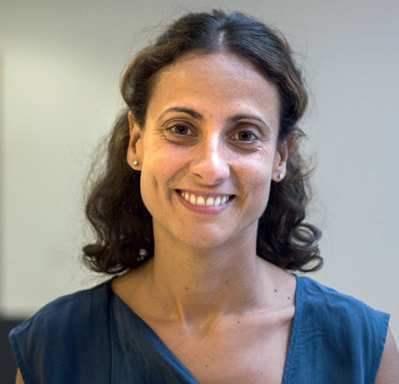 Dr Nathalie Tocci is Director of the Istituto Affari Internazionali, Honorary Professor at the University of Tűbingen, and Special Adviser to EU HRVP Federica Mogherini, on behalf of whom she wrote the European Global Strategy, and is now working on its implementation, notably in the field of security and defence. She previously held research positions at the Centre for European Policy Studies, Brussels, the Transatlantic Academy, Washington and the Robert Schuman Centre Advanced Studies, Florence. Her research interests include European foreign policy, conflict resolution, the Middle East and the Mediterranean. Dr Tocci is the 2008 winner of the Anna Lindh award for the study of European Foreign Policy. The Hinsley Memorial Lecture honours Sir Harry Hinsley, a former student and later Master of St John’s and Vice-Chancellor of the University of Cambridge. Originally a medieval historian, Hinsley worked as a cryptanalyst at Bletchley Park during World War II, where he contributed to the analysis of intercepted German wireless traffic. He returned to St John’s after the conflict, and lectured in History, specialising in the History of International Relations. St John's College hosts the Hinsley Memorial Lecture on an international relations topic every year. The lecture will take place at 6pm on Tuesday 6 November in the Main Lecture Theatre at the Old Divinity School, St John’s College, and will be preceded by tea at 5.15pm in the Central Hall. Parking will be available in the Playing Fields car park. All University members are welcome to attend.